Calling Korean beauty addicts out there, we are definitely in for a treat with Laneige's new beauty launches, not one but two! - White Dew skin care line and the new range of Silk Intense Lipstick shades. 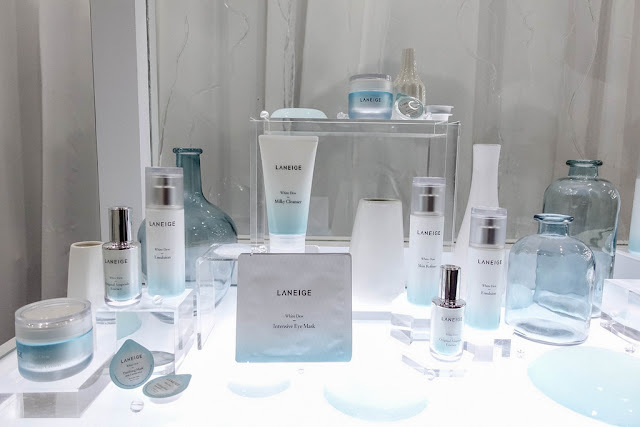 Knowing how Laneige always throw in beauty surprises for all of their consumers, read on and ready to be amazed by all these new products by Laneige. 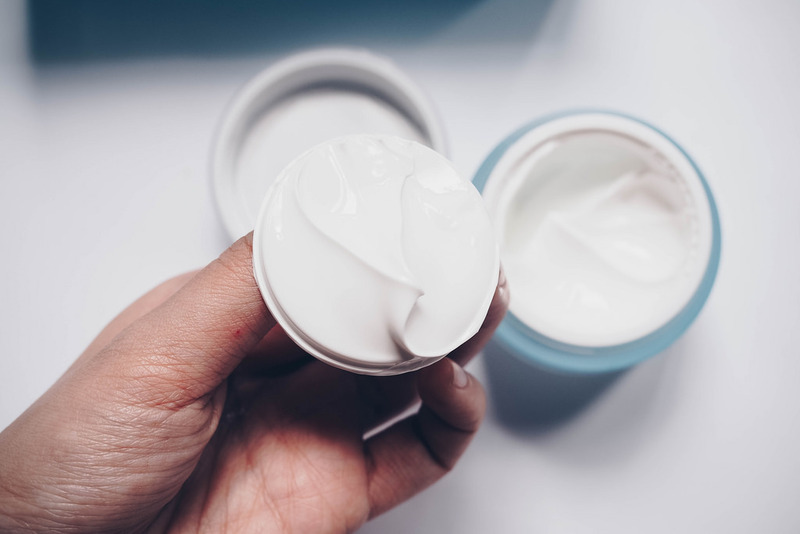 Let's be real and admit that most of us, Asian women, always wish for the brighter skin tones and seek products that are able to mitigate reddish or yellowish skin tone, uneven or dull skin tone, blemishes, and acne scars. And if you are not aware of it, all these skin tone concerns are normally melanin-related. For example, brightness in skin tone is closely related to melanin formation, while melanin linked to yellowish tones is normally the main cause of skin dullness. Understanding that skin brightness can be improved by controlling melanin, Laneige has used this knowledge to create the world's first patented moisture whitening skin care line - White Dew. A brief story behind White Dew - The team behind the development of this product observed an increased moisture loss around hyper-pigmentation. An abnormal increase or differentiation of keratinocyte leads to an increase in loss of moisture. This then causes an increase in melanin formation and movement, which ultimately leads to pigmentation on the skin. 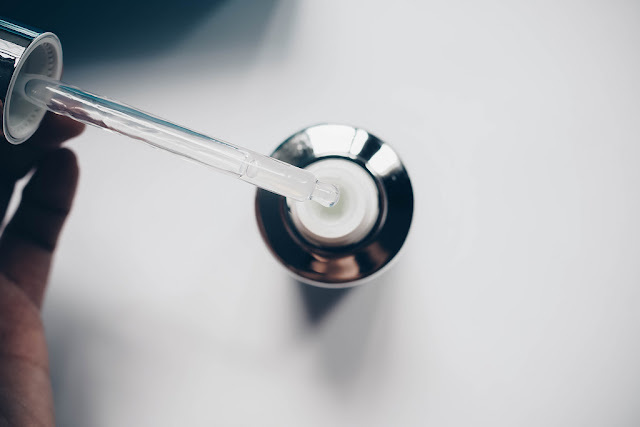 Melanin formation can be controlled in two forms - first, by regulating differentiation of keratinocyte (hydration whitening); second, by regulating the movement of water in skin cells (moisture whitening). As a result, the science behind White Dew is based on the fundamental role hydration and moisture plays in skin brightening. 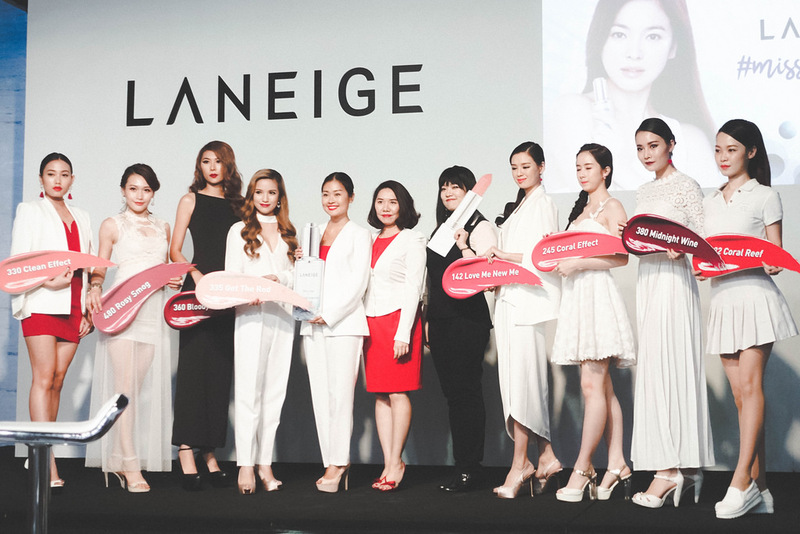 White Dew is Laneige's patented moisture whitening product based on holding water in the skin to brighten skin ton. What makes it so special and beneficial to the skin? 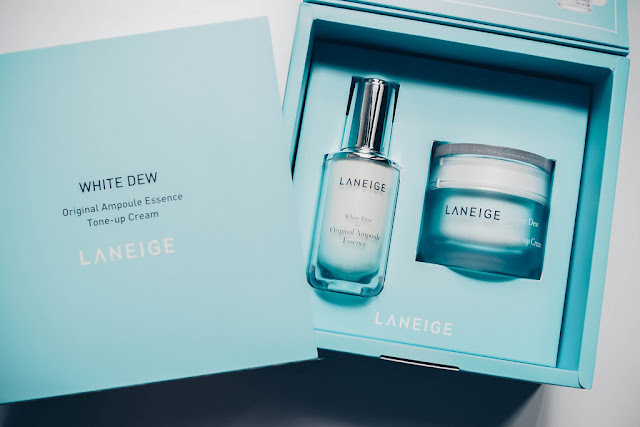 The new Laneige White Dew skin care range contains Mela-vita Crusher™ as its key product technology, which functions to regulate moisture and produce a whitening effect, promote autolysis and provide a soothing effect for skin. There are three key ingredients in this technology that help improve skin tone - Saurusus Chinensis Bail (effective in improving and preventing pigmentation caused by city stress), Truffle/Mushroom Yeast Extract (promotes autolysis of melanin, resulting in improved skin tone) and Vitamin B5 Precursor (combats the melanin formation and skin irritation and provides a soothing effect with moisturisation). Combined with White Dew's Mela-vita Crusher™ technology, Phyto-sugar Water is extracted from plant ingredients as a natural sweetener to help deliver quicker effects. Phyto-sugar Water contains two types of plant sugar as its main functional ingredients - trehalose and raffinose - they are easily dissolved in water to replenish moisture in the skin and boost the effects of the Laneige White Dew line. There are seven products under the White Dew range -White Dew Milky Cleanser (RM100), White Dew Skin Refiner (RM125), White Dew Purifying Mask (RM150), White Dew Intensive Eye Mask (RM105), White Dew Emulsion (RM140), White Dew Original Ampoule Essence (RM220) and White Dew Tone-up Cream (RM165). 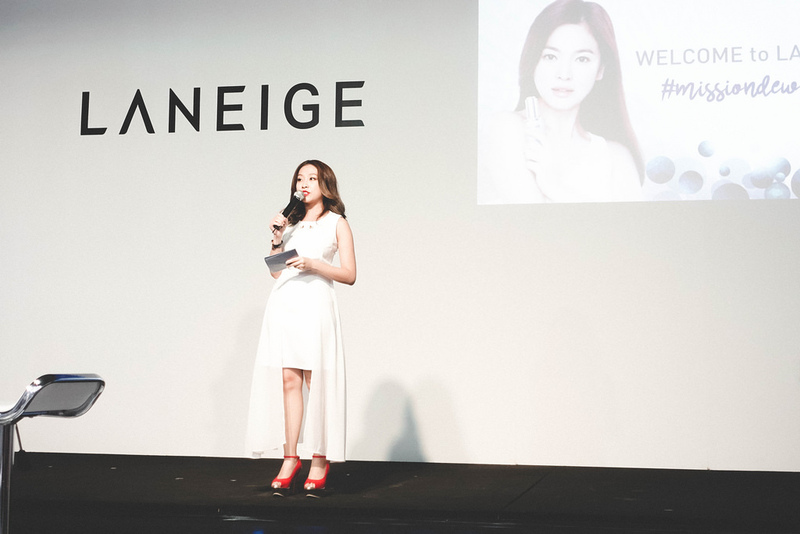 Moving on to the next exciting product launched by Laneige - new Silk Intense Lipstick. 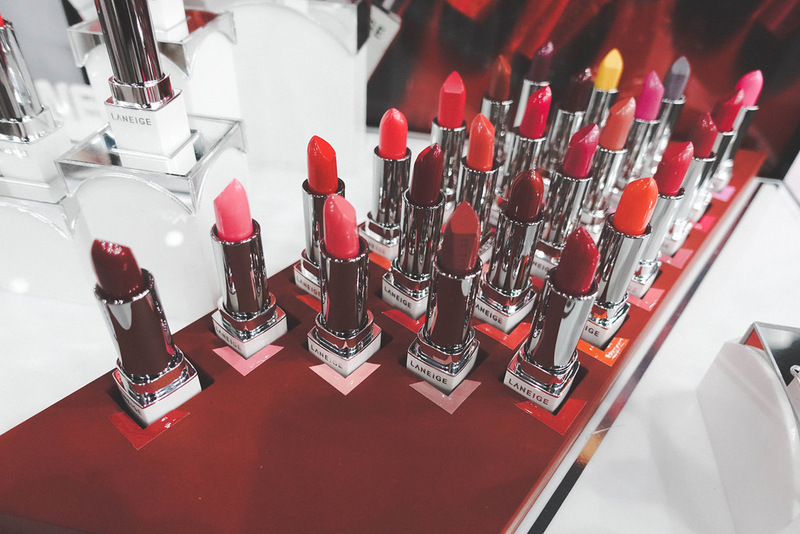 We all agree that when it comes to lipstick, a girl can never have too many! The new Silk Intense Lipstick by Laneige with an improved formula and a wider color spectrum comes in a diverse palette of 30 vivid shades, ranging from pink, nudes, coral and reds to less conventional color. Each of these colors is rich and vibrant, with an intense color payoff. The upgraded formula of the Silk Intense Lipstick gives it a soft and silky texture that allows for smooth application following the shape of the lips. 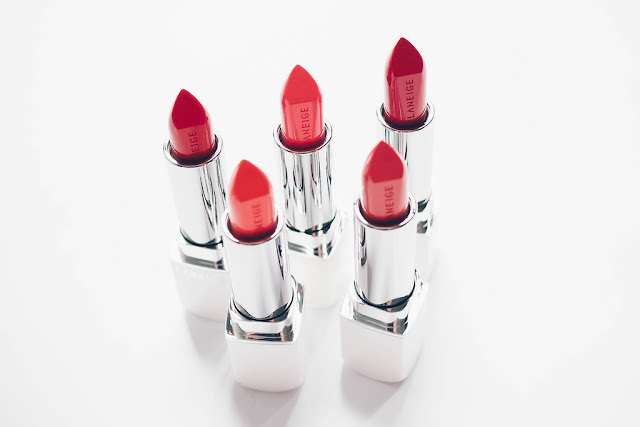 The lipstick wears comfortably all day long because of its moistness and consistency. Without compromising on its intense color, the Silk Intense Lipstick is formulated to feel soft and comfortable on the lips! Of the 30 shades available, there are two special shades belong to a more unique color family - Exotic Yellow and Forest Fantasy. 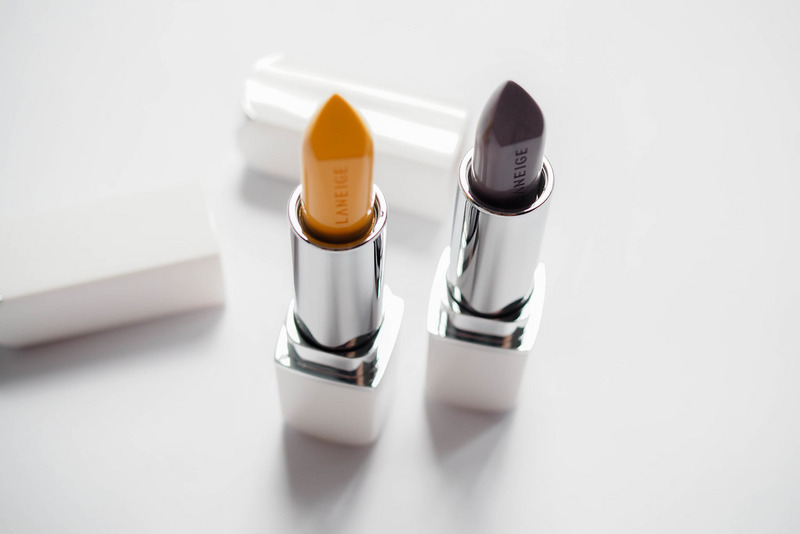 The yellow and purplish grey lipstick can be used with any of the other colors and a mixer to create a different shade. With these two colors used as a mixer, the Silk Intense Lipstick comes in 30 base shades and can be combined to create up to 90 different color blends! The new Laneige Silk Intense Lipstick has three key components that lend to its rich shades and silky textures: Ultra Micronized Pigment technology (creates a more vivid and strong color expression than the original pigment), Multi-Layered White technology (acts as a multi-layered structure that allows a variety of light to reflect according to the angle) and Luxurious Fabric-like Texture (with Branched Copolymer functions to give the lipstick its soft texture that fits tightly against the lips). 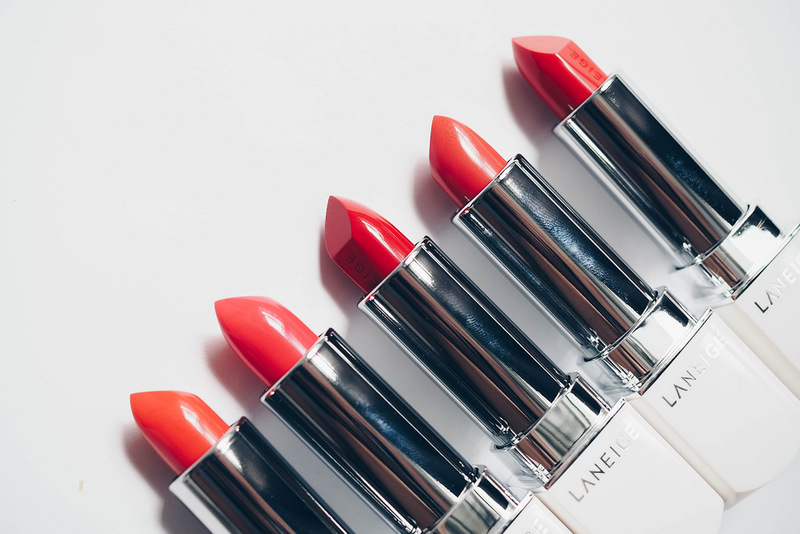 All 30 shades of the new Laneige Silk Intense Lipstick is available at all LANEIGE beauty counters and boutiques nationwide this March 2017, retailing at RM85 each. Those are really vibrant shades. Would love to check them out when i see them in stores. 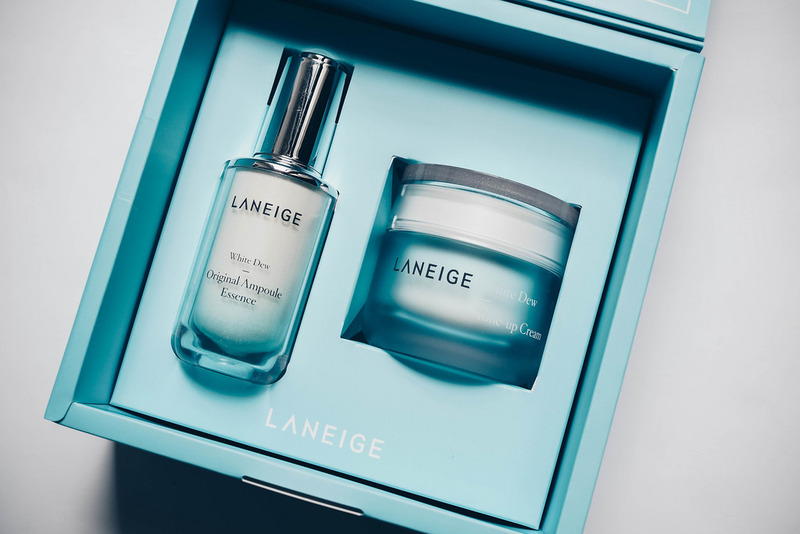 What beautiful packaging Laneige has. So fresh looking. Loving the lipstick shades as well! ZA 20th Anniversary | What's New? 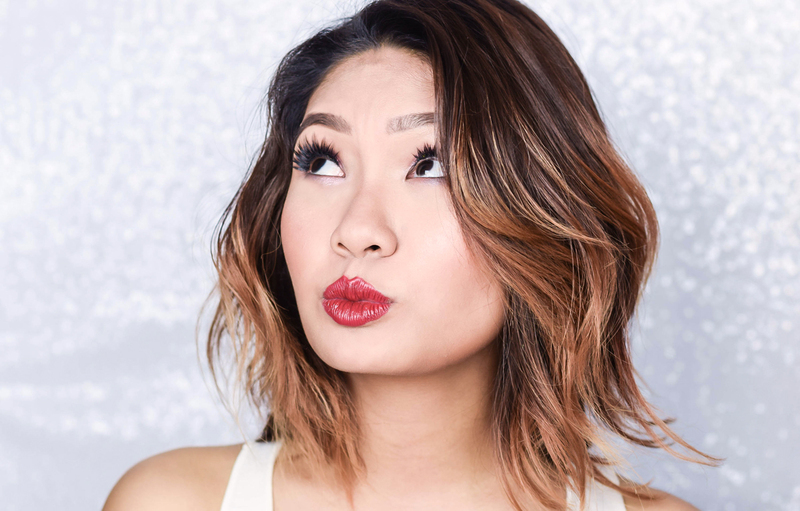 KLARA Cosmetics Kiss Proof Lips | Yes Or No?